Choose your style. Find your perfect style in this brilliant app from Mango. It covers everything for women, men, and even kids. Find what you're looking for, add it to your cart, and you're set. Ordering fashionable clothes and accessories is made easy from your Apple TV. Don't like what you see in your closet? Take a look at your Apple TV instead. Mango MNG offers high-quality fashion looks from all Mango brands — including Mango, Mango Man, Mango Kids, and Violeta by Mango — available to purchase with a click of your remote. You love anything and everything Mango. You want to know what's hot (or cool) to wear and be able to buy it right away. You'd rather shop for stuff from other clothing design companies. You don't mind being behind that latest trends in fashion. Mango MNG is not just a shopping app that lets you easily purchase the trendiest clothes. It also boasts campaigns, lookbooks, and fashion films to immerse yourself in. Discover the last fashion trends and get your women’s, men’s, kids’ and plus size clothing favourites online with the MANGO app for iPhone, iPad, iPod touch and Apple Watch. Simple, fast and intuitive! Download it for free now and start enjoying the ultimate mobile shopping experience! You’ll be able to purchase your favourite clothes online, anytime, anywhere. Explore and browse through our fashion styles and find what you’re looking for by using our size, colour and price filters. Once logged in, your shopping bag items will automatically sync between devices. You may start your order on your computer and continue on your smartphone or tablet. Need another size when in store? 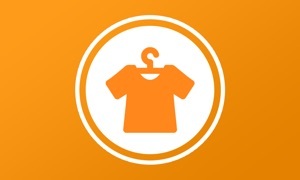 Scan an item’s barcode to get product information or locate a size online there and then. Keep up to date with our current sales, promotions and exclusive offers when you’re on the go! With our on-the-spot updates you’ll be the first to know about new arrivals and lookbooks. Looking for your nearest Mango clothing store? With our store locator you’ll quickly get directions to get there in no time.